Due to the way Internet Explorer is integrated with the Windows operating system and just the restrictions Microsoft puts on it in the first place, you can only have one version of IE on a machine at a time. Of course, I’ve covered Tredosoft’s Multiple IE solution before, which does allow you to have more than one version, but Microsoft has just released (in beta) a solution that is a little less of a hack. SuperPreview for Internet Explorer is part of Microsoft’s Expression Web series for web tools. This allows you to compare how a webpage looks across different versions of Internet Explorer (IE 6, 7, and 8 ) in one easy location, a must have for any Webmaster. Microsoft Expression Web is a standards-based web design tool and in-line with that, the SuperPreview tool allows you to visually check over your website in different versions of Internet Explorer to see if anything is not rendering correctly. After a quick install, you’re ready to go. You can check your site in IE 6 and if you have it installed, IE7. Now that Internet Explorer 8 is now fully available, if you have that installed you can check your site in IE6, IE7 (via IE8’s compatibility mode), or in IE8. Basically this program is a very limited browser that uses the other rendering engines from Internet Explorer versions to generate how a page would look to ensure compatibility for all of your users. With scrolling synchronized across both panes, you can look down your page, zoom in or out, and see how the versions compare. 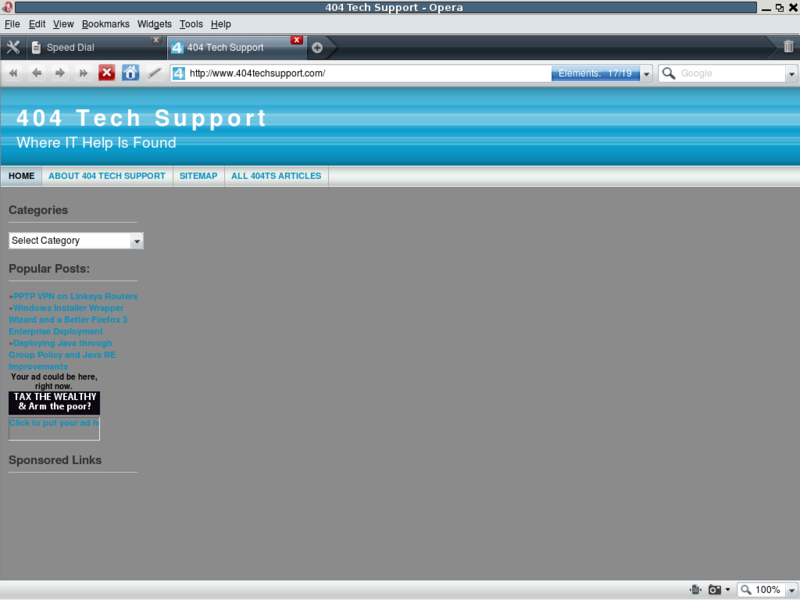 Along with a vertical split, you can horizontally split the browsers and the scrolling remains synchronized. 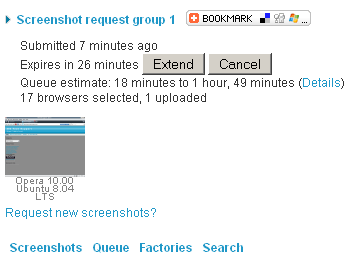 Right now, the resolution seems to be fixed at 1024×768, but the program is still in beta. I hope this will be a setting that is able to be changed in the future. I’m also uncertain whether the program will be free in the future or part of a more complete Microsoft Express studio package. Either way, the beta is good until October. Use it as much as you can and provide feedback to the development team if you run into any bugs, quirks, or feature requests (click the bug icon on the toolbar). Check out the Microsoft SuperPreview beta to visually check your website in multiple versions of Internet Explorer easily and analyze by element. As you can see from this screenshot of my site using Opera 10 on a Linux box, I have some work to do to make it fully compatible. 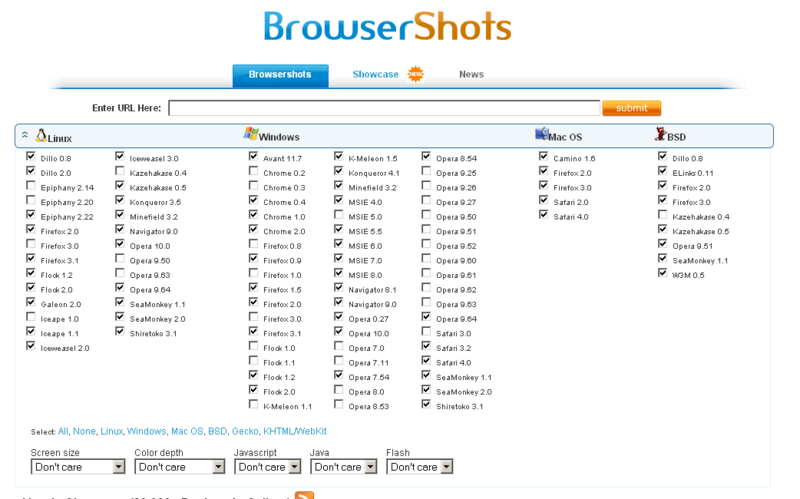 Check out BrowserShots for scanning your webpage for compatibility across multiple browsers and operating systems.